I’m blogging for a long time and I have seen lots of changes in SEO world in past few years. There’s no doubt that the past year was an important year for SEO. I have seen Google Maccabee update because of which a huge number of sites has been hit by Google which was using too many keywords in their content. There’s no need to ask that in today’s world you are willing to see your content on the top of the searches. Everyone wants to rank their sites in Google. Well, let me tell you that Google takes around 200 factors for ranking a website in their search engine results. What are those factors? How to increase your searches chances? How to rank faster and better? Keep reading this article and find out all the answers to these questions. In today’s article, I’ll be going to show to some of the best top trending SEO techniques which every one of us should follow if you want to see your site content in top results. So, let’s begin. You might have heard this line several times that content is the king of the website. No doubt this is the absolute truth but if the content is the king then SEO is the queen of a website. Content always plays a very important role in the success of your site. If you are creating quality content and informative articles that have a potential of attracting more and more visitors to your site then you can easily survive in this long run. Those days are no more when one can easily rank their 500 words article on Google as simple as that. Now, you have to produce in-depth articles and quality posts which offers information to your visitors. You should try to create at least 1000 words content targeting your blog audience for solving their problems. You should always try to make your articles focused on your visitors and create a trust with the help of your useful articles. It has been proved that people will simply be going to close your website and move on to other available options if your website is taking more than 3 seconds to load. Also, website loading speed is also considered as one of the factors behind ranking a website on google search results. If your site layout is not mobile friendly then you are losing the most traffic of your blog. It will surely be a doom for you if your blog is not optimized for mobile devices. In past few years there has been a rapid increase seen in mobile users and if you ignore this factor then you will lose a lot of visitors and customers. You should also know that Google considered site responsiveness as one of the ranking factors. Therefore it is very important for you to optimize your blog for mobile devices. If you are a WordPress user then you should try Mythemeshop or Genesis Framework responsive WordPress themes for your blog. 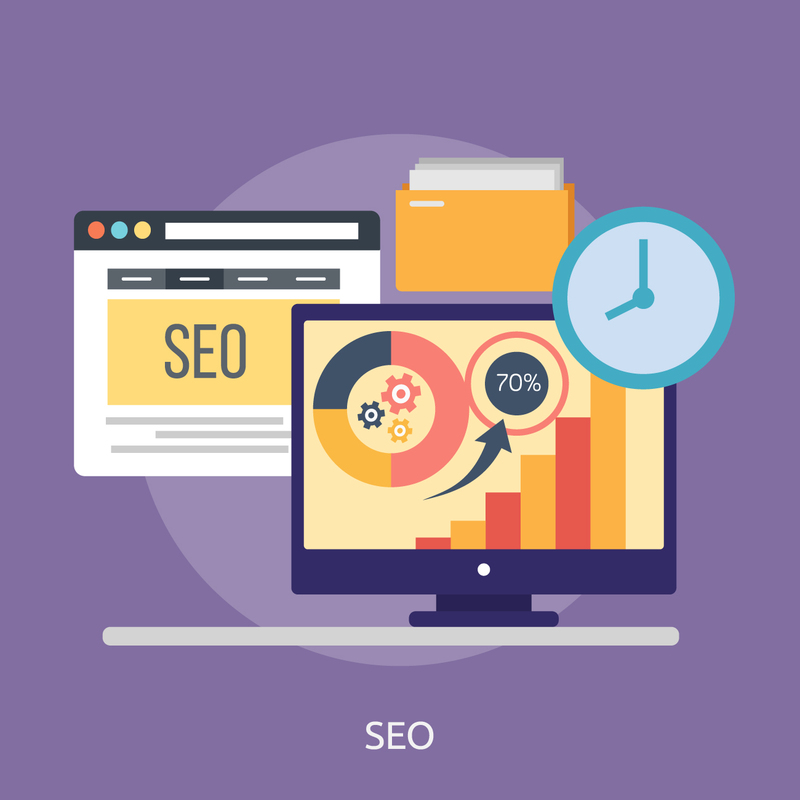 If you are a blog owner and knows a little bit about SEO then you might know that keywords play an essential role in your site SEO. Keywords are one of the major ranking factors in search engines. If you want to rank above your competitor and better in search engines results then you should try focusing on long tail keywords. Targeting for long tail keywords in your blog posts is an amazing strategy which can surely affect your blog in a good way. Long tail keywords also help you finding quality readers for your blog posts which can indirectly help you increase your site sales. If you are doing affiliate marketing then the long tail keyword is the must thing which you should implement on your blog. Updating your old blog posts is a very good SEO strategy to be followed. By updating your previously published articles you can engage and target more blog audience. Not only that but this practice will help you to refresh your blog content. By updating old blog articles you can increase your site visitors and this practice is also appreciated by many search engines. This is one of the best on-page SEO techniques which you should surely try. If you want to get higher search engine ranking then you should try focusing on creating good quality backlinks. You cannot rank your content on search engines if you have poor backlinks or zero backlinks. I have seen many people who prefer creating backlinks with the help of various online tools. This will do nothing but will harm your site for sure. Always try to focus on the quality of your backlinks. Getting backlinks from high authority sites which are relevant to your niche will benefit you for sure. If you are running a tech blog and if you are getting backlinks from a health care blog then it will not be that much good. There are a number of ways by which you can easily get quality backlinks like blog commenting, guest posting, online forums and so on. It does not matter whether you have a nofollow or dofollow links, Google will count it as a backlink. But the main thing which is to be considered is the quality of your backlinks. Creating a strong social media presence will help you get some good blog visitors and readers for your site. You can easily build a wide network of various social networking platforms like Facebook, Pinterest, Reddit, Twitter etc. Social Media is a great platform and these days many big companies are focusing on social media marketing. Social media networks help you to build your blog authority and generate trust among users. Sharing useful content on social media can also help you in getting quality backlinks for your site. You might know that Google has taken an initiative to create a safer web for users. By simply moving your site from HTTP to https will surely help you to boost your SEO score. These days almost all web hosting companies are offering free SSL certificates to their users. Optimizing your website content for voice search is the best thing which you can do to make your site user-friendly. This is the best practice to improve your site navigation and popularity. Creating relevant blogging videos can also be a plus point for you. If you are creating quality articles then videos will definitely be going to help you in making that content more informative and easy. Videos also help you in getting connected to a large number of targeted audience. As I have already said to you in starting that SEO matters a lot for a site. SEO helps you get a huge number of organic traffic to your blog without putting much effort in things like promotion.